Life Insurance will be a great gift for your child in case of emergency. Sometime down the newlywed road, couples must decide if life insurance is for them. 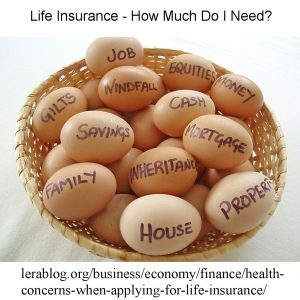 Those who choose to not buy life insurance must ask themselves what money they would rely on in case of death and under what circumstances would they decide to change their minds and buy it? Conversely, those newlyweds who want to buy life insurance must ask themselves what kind they should get and how much should they pay. These ten tips should help you understand what is best for your family. Many newlyweds first wonder how to even apply for life insurance. There is a general process that takes place, though different companies will do things a little different. First you need to choose between either full or term life insurance. Then you fill out the corresponding application, that includes information like lifestyle habits and financial info. Next, you will meet with a paramedical who will take your medical history, blood pressure, heartbeat, blood sample, etc. Sometimes companies need medical and driving records. An underwriter then reviews the information and figures out how much you would need to be charged for the coverage you want. Also a warning: If a company finds out that you lied, not only will they not insure you, but you will be red flagged so that other companies know you were denied coverage because of dishonesty. 2. Know the difference between term and whole life insurance. Before you fill out any paper work to apply for life insurance, you will need to know which of the two types of life insurances you want and will most likely qualify for. The first is term life insurance. This is a type of life insurance that covers you for a specific period of time (usually 10, 15, 20 or 30 years). When the time period is up, you apply for a new policy, unless your current policy is renewable. If it is renewable, you most likely have to pay a higher rate since your new, older age also means more health risk. Also, when you reach the end of the term, you do not receive any return on the money, but if you do pass away before the term is over, then your dependents will receive the full amount of the policy. Term life insurance is the most common type of life insurance for people with good health. It is also often used by people who hope to eventually not need any life insurance and instead can rely on investments and savings to support dependents after passing away. Ideally, newlyweds should make a goal to be out of debt and have solid investments by the time they retire so that they do not have to have life insurance in the later years when life insurance is particularly expensive. Pros: Those with serious medical conditions are more likely to qualify for this than they do term. Additionally, you always have the option of cashing out the money that you have paid into the policy any time through your lifetime and if you qualify, you can receive term life insurance. Cons: Those who cancel the whole life insurance will have to pay taxes on what was cashed out which is especially irritating since you technically paid taxes on that same money before you submitted your monthly insurance payments. Also, whole life insurance is very expensive, since it takes in account the fact that you will have more health problems and will age, making you more at risk for your family to need to rely on the insurance. Finally, the rates of return are much lower than they are on normal investments, so most people recommend term life insurance while simultaneously investing in more profitable ventures. Often families without children benefit from at least one spouse getting life insurance. 3. If you answer no to most of these questions, it is probably not yet worth buying life insurance. Do I generate a significant percentage of the family’s income? Do I plan on paying for children’s college or recurring bills? Will I likely get little return on my financial investments? If you and your spouse both contribute significantly to your family and you do not have any children, it is probably best to wait. Granted, the longer you wait, the higher the rate, so make a plan as to when life insurance will be worth the costs. 4. Even if you do not have kids, life insurance still may be a good idea. If one of the spouse’s financial contributions is much more significant than the other spouse’s contribution, you may want to buy life insurance for the former. If one spouse could not live on their personal income, they would feel an incredible weight trying to make ends meet, on top of mourning their loved one’s death. If this is not a possibility, then the couple should create at minimum some kind of emergency fund that could at least cover funeral costs. Many employers offer life insurance, but because your employment is never insured, your run the risk of losing your life insurance if you get laid off or quit. The last thing you want to do is feel stuck working at a loathed job all because you cannot lose your life insurance. However, for those who have preexisting medical conditions, taking advantage of life insurance through your employer might be your saving grace. It may be risky to max out the work life insurance, but it is better than being high risk and having no coverage. 6.Know how you want to “shop” for insurance companies. “1. The type that asks for your personal information which they then sell as a “lead” to insurance agents. 2. Sites that market insurance directly but ask for info about you including name and e-mail address before they’ll give you a quote. 3. Insurance company sites that quote their company’s rates or refer you to one of their agents. About Money recommends the last type of company, as it allows you to search and compare different life insurance policies, without having to give personal information and without feeling the pressure of working with an agent before you are ready to commit. 7. Know what amount you should have in a life insurance policy. The value of your life insurance will be different from what others’, even your spouse’s, are. About Money recommends two ways that you can estimate how much you will need. “Option 1: Determining Expenses (-) Assets: Figure a rough estimate of your annual family budget. This would include your mortgage, child care, insurance, and basic living expenses. Don’t forget to include expenses such as vacations, and future education plans such as private school and college. Next, estimate a figure for your assets such as savings, social security benefits, or any other income that will be there such as the income of a surviving spouse. Remember, stay-at-home spouses contribute a lot to the family income by by-passing child care, travel, cleaning, cooking, tutoring and associated costs, therefore would need to be insured also. Keep in mind that even if there is a parent who does not work, they still should have life insurance. If, unfortunately, that parent passes away, then new expenses of child care, tutoring, house maintenance will need to be added to the family budget. 8. Life insurance is not enough. Writing a will is an important part of the insurance process. There would be nothing sadder than leaving your family with a secure financial situation, only to have confusion as to how it should be divided. It is crucial that if you spend the money for life insurance, that you also prepare a will for your family. An estate planner can help you figure out all of these details. Likewise, life insurance should be seen as an investment, as it serves to provide money at some future date. With this in mind, make other investments that can also contribute to your family’s security. If, for example, you buy a $200,000 life insurance plan, and you have $100,000 in investments, your family will have even more security. 9. Sometimes self-insuring is the best life insurance. Let’s face it: we would all want life insurance to be free. Fortunately, with a little bit of luck and if you plan things right, this is possible. Here is how. You and your spouse buy a term life insurance plan before your children are born. Meanwhile, you pay off your debts and you make smart, profitable investments. Decades pass and you and your spouse realize that your investments have generated enough revenue that you know that when one of you passes away, the living spouse and any dependents will have enough money to rely on the investment money. When your term ends, you simply do not renew it and you rest easy knowing that you no longer have to make payments and you have the financial security to keep the living spouse comfortable for the rest of their life. Of course, this is hard to do and many people simply will not have the means to do this, but if you can, then it is a great way to insure yourself.